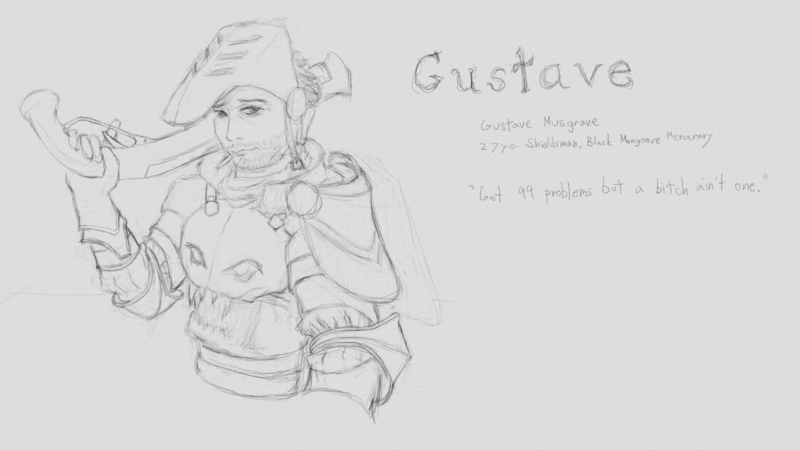 Gustave has joined your party! 3d artist, musician, and long time friend of mine, Rafael Urbina, expressed his desire to help make Victis a reality. He’s also the inspiration for Gustave Musgrave, a key character in the story. He sent me really awesome sounds one day and I was blown away that I am now officially including him in the team as sound/music guy. I can’t embed sounds here in WordPress so until I get the time to incorporate them into the game, you’ll just have to trust me when I say the gunshot sounds are sweet.